It’s election day in the UK. IT’S OFTEN STATED that a week is a long time in politics. If that’s true then seven weeks is something approaching an eternity. Back on 18 April UK Prime Minister Theresa May did what she said numerous times she wouldn’t do, she called a snap general election. At the time May faced some criticism for going against her pledges to stay in government until 2020, but most commentators seemed to think calling the election was a smart if cynical move. Some opinion polls had her Conservative party at 44% support, almost double that of Jeremy Corbyn’s Labour party which was languishing in the low 20s. If these numbers came to pass in an election, the Tories would romp home with a much healthier parliamentary majority and May herself would have been given an electoral mandate less than a year after she replaced David Cameron. That above scenario may still happen, but what’s clear is that the UK’s political landscape has changed significantly before a vote has even been cast. One poll this week had Labour just a single point behind the Conservatives with most of the polls having the lead down to single figures. What it means is that while the bookies still expect the Conservatives to increase their majority, it’s not a sure thing and likely won’t be the thumping majority that had been previously predicted. 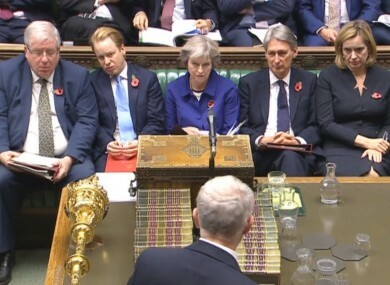 Ladbrokes favours May to see her present majority rise from 17 to 70 seats while William Hill suggests a more modest increase to between 40 and 50. There are 650 seats up for grabs meaning 326 are needed for a majority in the House and Commons. The Conservatives currently have 330 to Labour’s 229. So whether you’ve been watching it closely or are just planning to follow the results, here are some things to consider as the counts and exit polls start coming in from 10pm tonight. When will we know who’s won? The UK’s first-past-the-post voting system, where the candidate with the most votes in a given constituency takes the seat, means results come out a lot quicker than during Ireland’s PR-STV system. To give you some indication of just how quick, Houghton and Sunderland South announced their results just 48 minutes after polls closed in 2015. The exit polls from the UK media will give a strong indication even before that and should at least let us know how tight the result will be. Polls close at 10pm so that’s the time most UK broadcasters will be starting their coverage and starting to dish out predictions. From about midnight on the results will start coming thick and fast and the result should be starting to look clear. It’s expected that Jeremy Corbyn’s constituency of Islington North will declare at about 2.30am and Theresa May’s in Maidenhead at about 4am. While the Brexit vote might have caused many angry glances being cast towards UK pollsters, the 2015 election was also a bad one for those who try to predict such things. The Tories’ overall majority was not being predicted ahead of the 2015 vote so in this election pollsters are being a bit more circumspect. Most pollsters had the odd percentage point between the two main parties in 2015 but in the end there was a seven point gap. It seems like this year, they are giving themselves more leeway. YouGov caused shockwaves in the media last week when they published an analysis that predicted a number of different scenarios, one of which showed the Conservatives losing their majority. The company insisted that particular scenario would only occur on a very bad night for the Tories. The main problem for pollsters has been factoring in whether people who state a preference will actually end up voting. When polling companies are compiling poll results, they take account of an individual’s likelihood to vote before delivering their estimate of overall voter intention. Some statisticians have suggested that Labour’s support has been overestimated in recent weeks because many of its younger supporters will not end up voting despite stating an intention to do so. This is why turnout is being seen as key for Corbyn and his party. Where is the battle for voters being fought? While the Conservatives undoubtedly wanted Brexit to be focus of the election, it hasn’t been the only issue in the last month or so of campaigning. The manifestos of both major parties have both been given significant attention while the terror attacks in Manchester and London have also brought security to the forefront. Electorally, where Brexit will have a big effect is in the falling away of the 2015 Ukip vote. The UK Independence Party received almost 13% of the vote in 2015 but is now polling at closer to 5% following Brexit and the departure of Nigel Farage. It means there’s a significant number of votes there to play for and how they’re distributed between Labour and the Conservatives will have a huge bearing on the final result. In Scotland, the SNP almost clean sweep in 2015 (when they won 56 seats out of 59) will be difficult to repeat even if they’re still likely to dominate north of the border. Labour’s previous dominance in Scotland has severely hampered the party’s ability to win a majority and an alliance with the SNP is seen as the party’s likeliest route back into Downing Street this time around or in the future. That scenario has been labelled by the Conservatives as the ‘coalition of chaos’ and it remains to be seen whether voters will be swayed. Email “Election Day: Here's what to watch for as voters decide on Corbyn v May”. Feedback on “Election Day: Here's what to watch for as voters decide on Corbyn v May”.